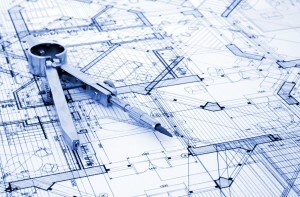 Home › FAQ › How Can You Specialize an Engineering Degree? If you’re an engineering major or you’re considering graduate school, you should know how to specialize an engineering degree, because it will create new opportunities, increase your salary and give you greater job satisfaction. You have quite a few choices when it comes to engineering specializations, and just as you must choose a major as an undergraduate, you must choose a research focus for your graduate degree. Most colleges offer a wide range of disciplines, from biomedical to management and leadership, and you can always choose a degree focus that crosses interdisciplinary boundaries. If your bachelor’s degree is in electrical engineering, you can choose to specialize in an area like aeronautics engineering to become an expert in electrical systems related to aircraft. To become an expert, you must enroll in a graduate program after earning a bachelor’s degree, because there is no way to specialize an undergraduate major in engineering, except to select a field of study, such as petroleum or chemical engineering. With a bachelor’s degree, you’ll be qualified to work in a special area of industry related to your major, but you won’t be an expert in that industry or be qualified for advanced positions. There is really no trick to specializing your engineering degree other than to enroll in graduate school, and you will have to choose a focus before enrolling in any classes. A Master of Science in Engineering is a research-based degree, and you can’t get one without choosing a specialization. The disciplines you can choose are mostly the same ones that you can choose as an undergraduate, but they go into much more depth and require a very strong background in science as a prerequisite. There are a few disciplines you can choose, as a graduate student, that usually aren’t available to undergraduates, such as management and leadership and some advanced subjects like neural engineering and medical physics. Not every school offers the same selection of subjects, so part of your decision will be to apply to several schools based on your education goals. Although engineering is a difficult subject that requires strong technical thinking skills, jobs for engineers are not as abundant as they once were, and only a few areas of engineering still have excellent job prospects, according to the Bureau of Labor Statistics. Software and petroleum engineering are the two areas with the highest demand for workers, and software engineering really requires a computer science degree rather than an engineering degree. It’s definitely a good idea to get a master’s degree, but you will drastically increase your job prospects by studying computer science in graduate school or as an undergraduate. Even if you don’t want to be a software developer, there is a high demand for engineers with software design skills to build computer systems in virtually all areas of industry. Computer science skills are an excellent complement for electrical or computer engineers who understand how to design logic circuits and microprocessors. If you have computer hardware and software engineering skills, you will have the best chance of finding high-paying work. The world needs engineers who are sharp and knowledgeable in math and physics, but some areas have more available jobs than others. If you love figuring out elegant solutions to real-world problems, enhance your career by learning how to specialize an engineering degree.